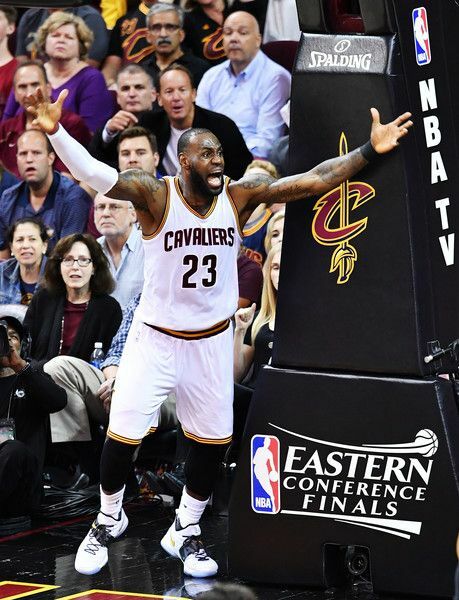 We all know the love/hate relationship folks have with LeBron James is VERY real. The hate is usually the loudest, though, for the man who is arguably best player in the league right now. Someone decided to make that known by tagging the NBA champ's L.A. home recently with N-word graffiti. It happened when Bron and the Cavs had already left for the NBA Finals in the Bay. An L.A. home owned by LeBron James was the target of a hate crime -- someone spray painted the n-word on the front gate and detectives are investigating it as a possible hate crime, cops tell TMZ Sports. Here's what we know ... multiple LAPD units and a neighborhood patrol vehicle responded to the home early Wednesday morning. We're told the word was scrawled on the outer gate. We're told investigators are looking for security footage from neighbors which may show the perpetrator. LAPD have been on the scene of his home and reportedly have labeled this a hate crime. The graffiti has already been covered up. By the way, he doesn't live there regularly but has owned the home since 2015. 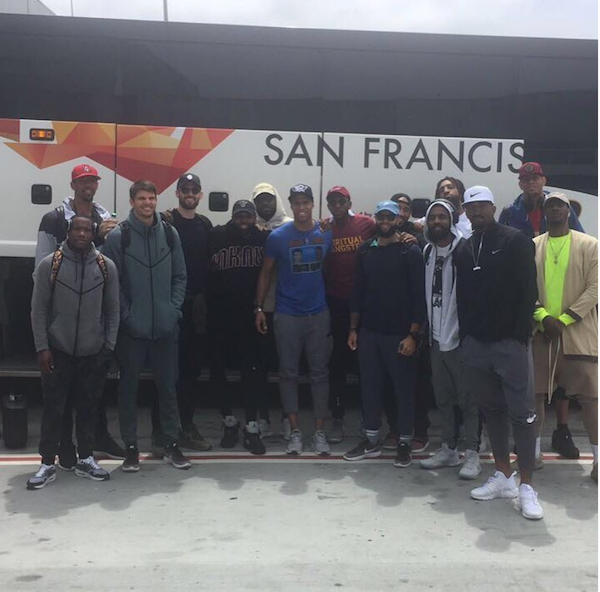 LeBron, pictured above hopping off the bus in Warrior-land yesterday, is focused on bigger things. He revealed for the second time in a recent interview (published yesterday but conducted a couple weeks ago) that his next move will be one of his biggest: Owning an NBA team. The 32-year-old is smartly setting up his post NBA-career life already. And he's putting the world on notice. "I will own a team someday," says James, a four-time league Most Valuable Player, in an interview with The Athletic. "That's my next thing." "Why do I want to own a team? I think it'll be cool. I'll stay part of the game and still be able to put people in positions of power," says James, 32. "I've always loved that, putting people in a position of power to feel like they can make a change and make things happen." "My dream is to actually own a team, and I don't need to [be] fully hands on. If I'm fortunate enough to own a team, then I'm going to hire the best GM and president that I can." He's already a master of securing bags. Do the damn thing Bron. PREVIOUS: SPEAK ON IT! Does Lil Mama Have A Point About Chris Brown’s Hardened Heart?